The articles section on shiny.rstudio.com has lots of great advice for Shiny developers. 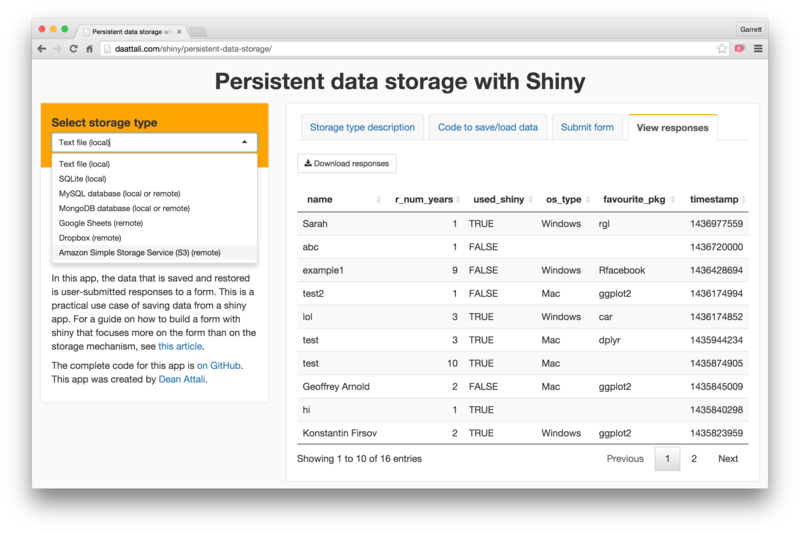 A recent article by Dean Attali demonstrates how to save data from a Shiny app to persistent storage structures, like local files, servers, databases, and more. When you do this, your data remains after the app has closed, which opens new doors for data collection and analysis.